1. 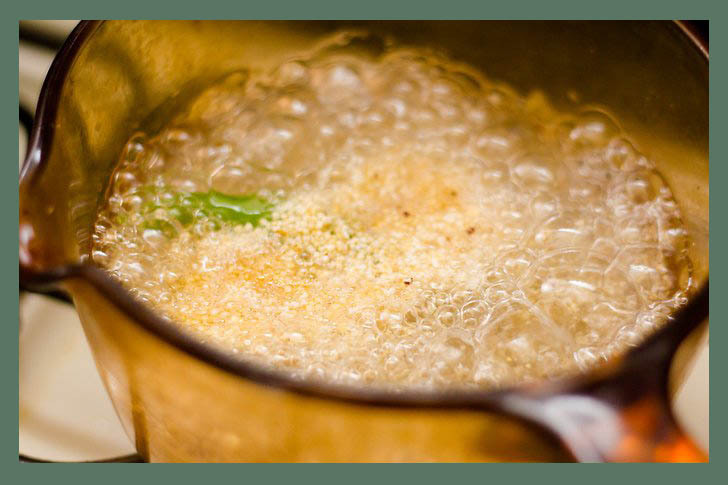 Combine the amaranth, garlic, onion, and stock in a 2 quart saucepan. Boil, reduce heat and simmer, covered until most of the liquid has been absorbed, about 20 to 25 minutes. 2. Stir well. If the mixture is too thin or the amaranth not quite tender (it should be crunchy, but not gritty hard), boil gently while stirring constantly until thickened, about 30 seconds. Add salt or tamari to taste. 3. Stir in a few drops of hot sauce, if desired, and garnish with chopped tomatoes. 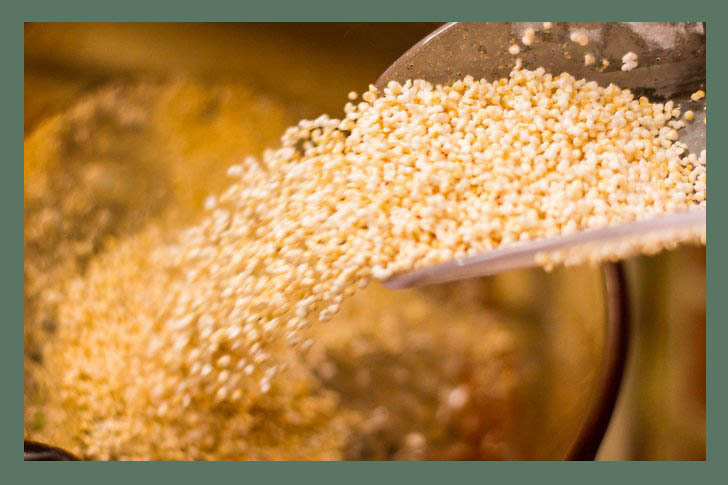 Amaranth is full of high quality protein and is high in fiber. It can be used in applications similar to polenta as once cooled it will hold together.